According to the American Academy of Periodontology and the 2003 World Health Organization report around 80% of adults over 35 suffer from periodontal disease. This disease is a bacterial infection resulting when food, bacteria and tartar are not sufficiently cleaned from the teeth. In the beginning, the infection develops along the gumline and when left untreated, it will progress beneath the gums to damage the gums, teeth and bone. Periodontal disease is the leading cause of tooth loss among adults. 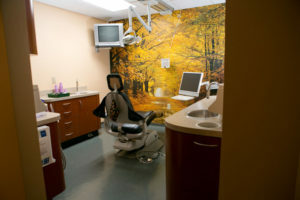 Susquehanna Dental Arts offers The Perio Protect medical device as a part of our comprehensive services. This periodontics tool delivers prescribed medication directly to the source of periodontal disease. The Perio Trays are worn as a supplement to regular brushing and flossing and the treatments are modified as healing occurs. Most patients are able to avoid gum surgery. Worn for minutes each day, the trays fit right over your teeth and allow an effective concentration of medicine to be delivered to the infection. Besides reduction and control of gum infections, the Perio Protect trays provide the best whitening of teeth we’ve seen. Because ongoing, optimal health is synonymous with teeth and gum care, Susquehanna Dental Arts offers the most complete and effective periodontics prevention services available. Visit our Holistic Approach page to learn more!